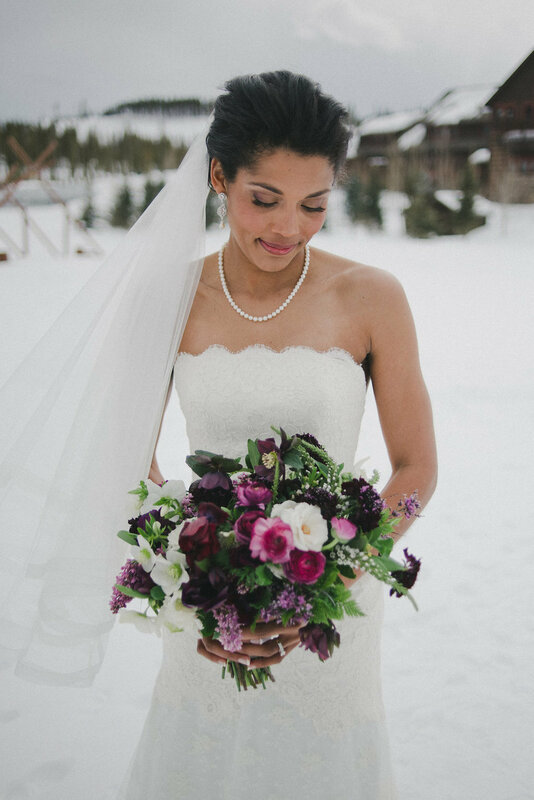 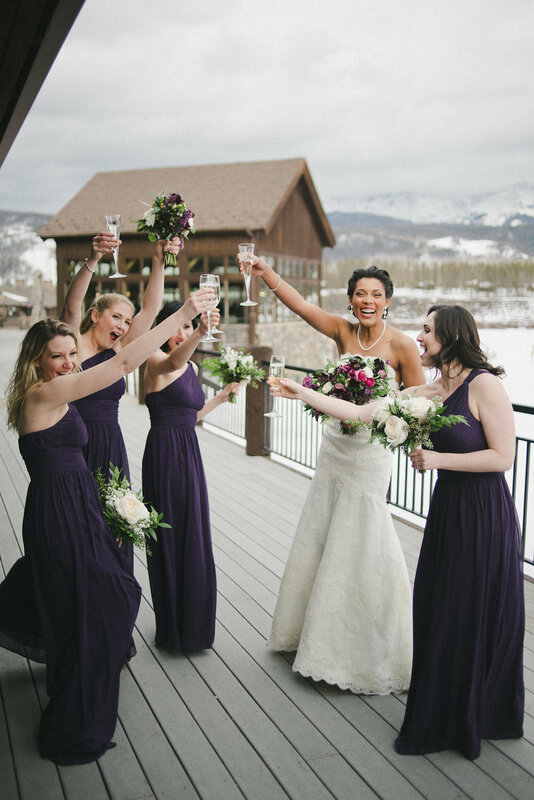 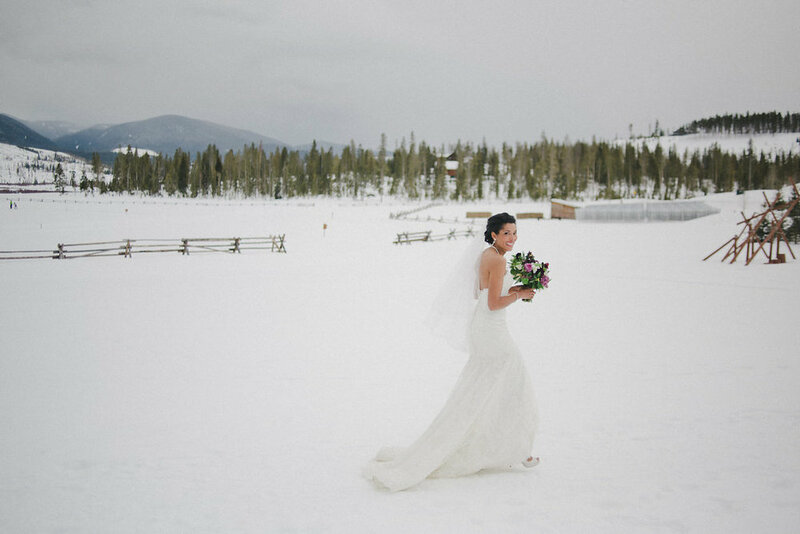 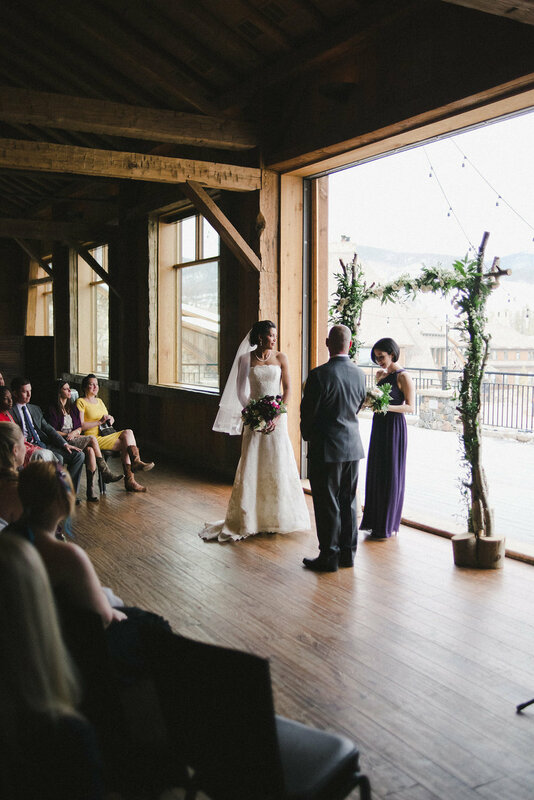 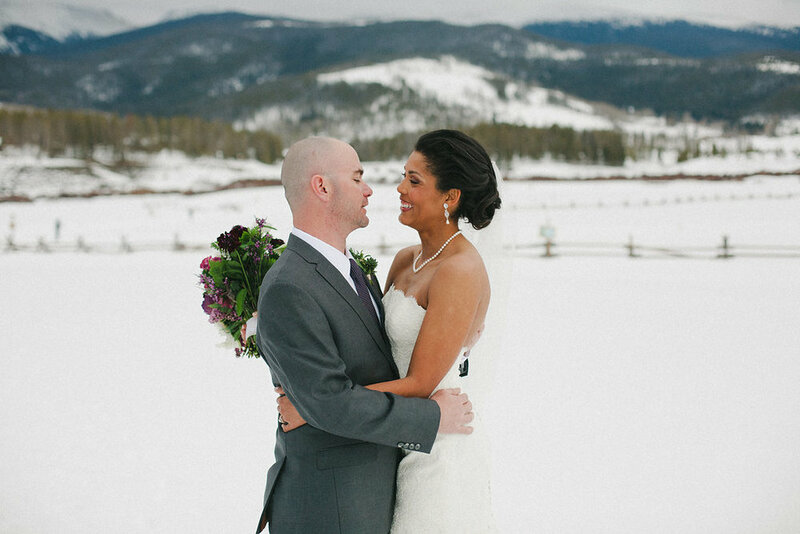 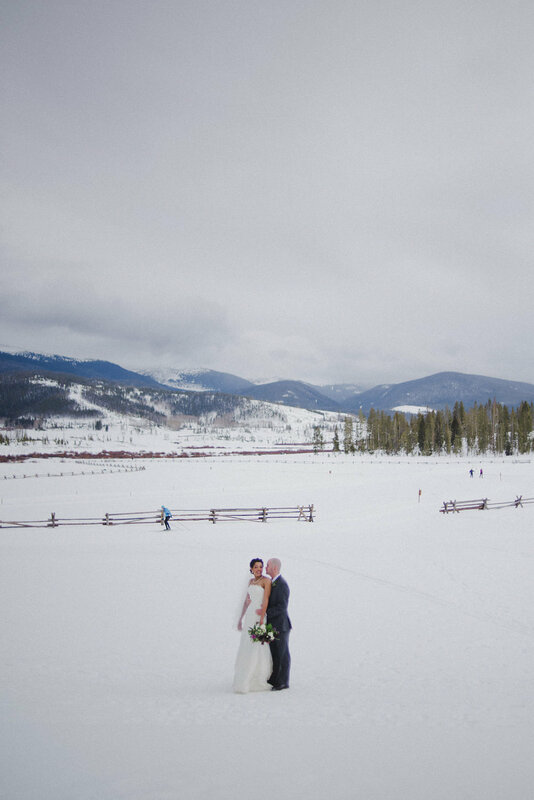 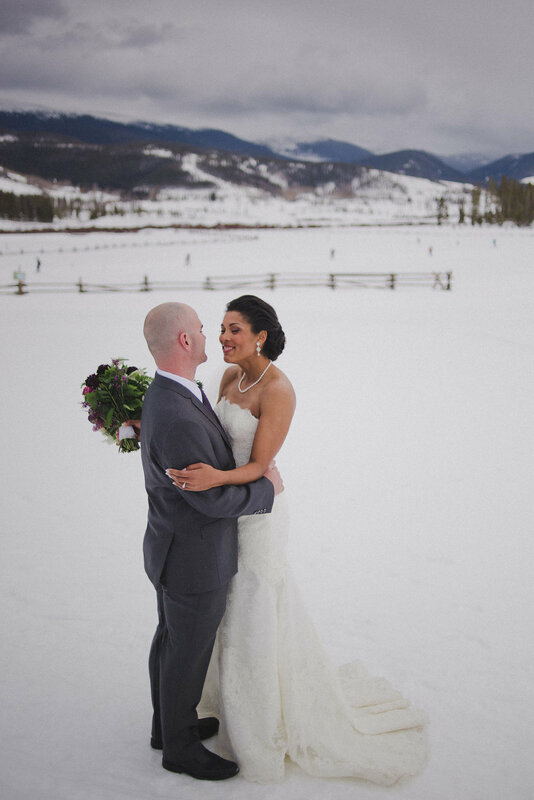 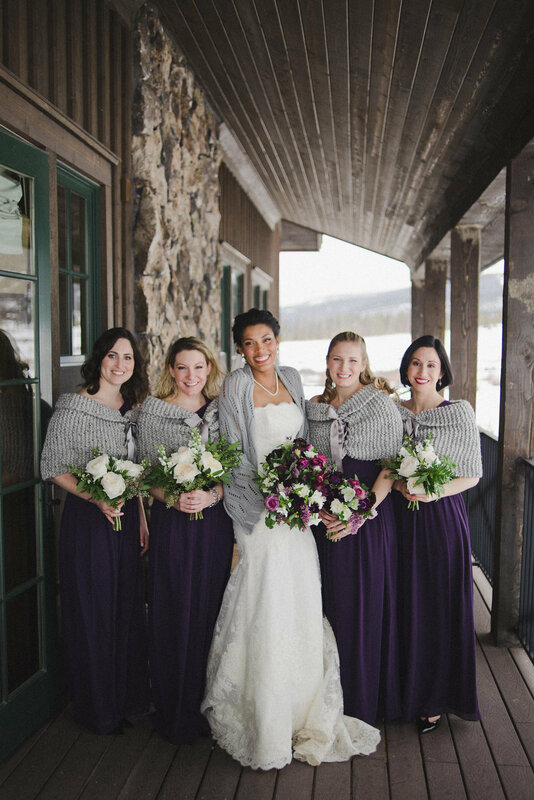 Geri and Mike's wedding this past Valentine's Day weekend at Devil's Thumb Ranch is a prime example of why we love winter weddings in Colorado. 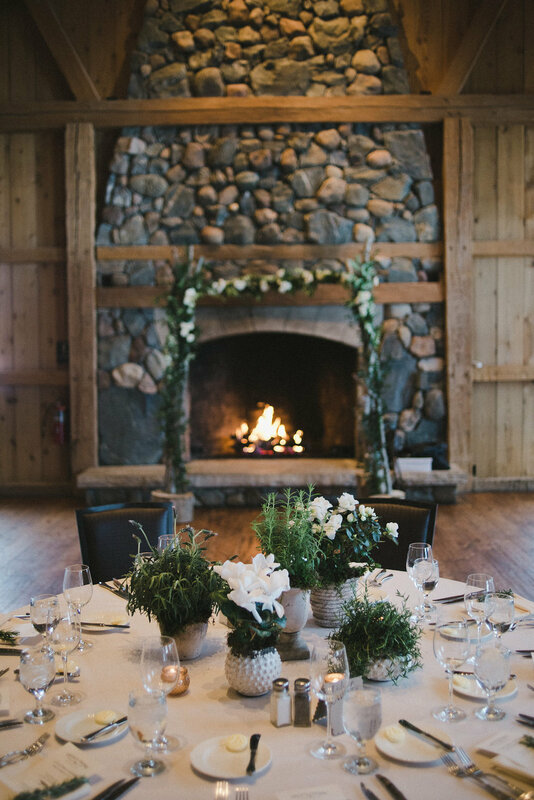 With a quiet romance, rustic elegance, and an unrivaled backdrop, it's clear that these two created a celebration that focused on their love and their families. 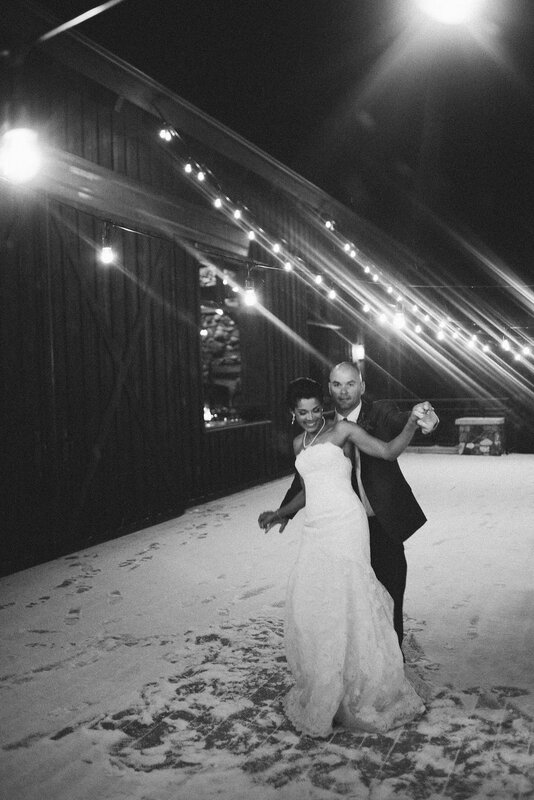 And what could be more memorable than a dance, just the two of them, under the falling snow at the end of the night? 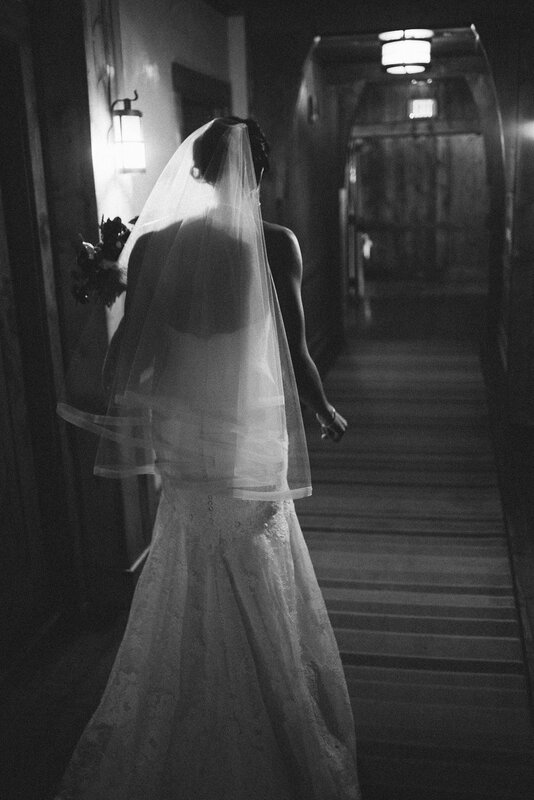 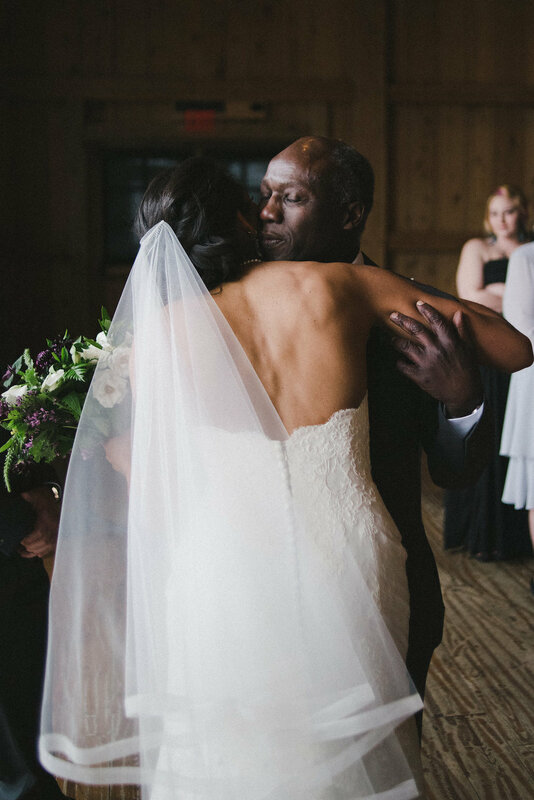 What's more, the photos by Rachael Grace Photography capture the emotion and feel of the day so beautifully. 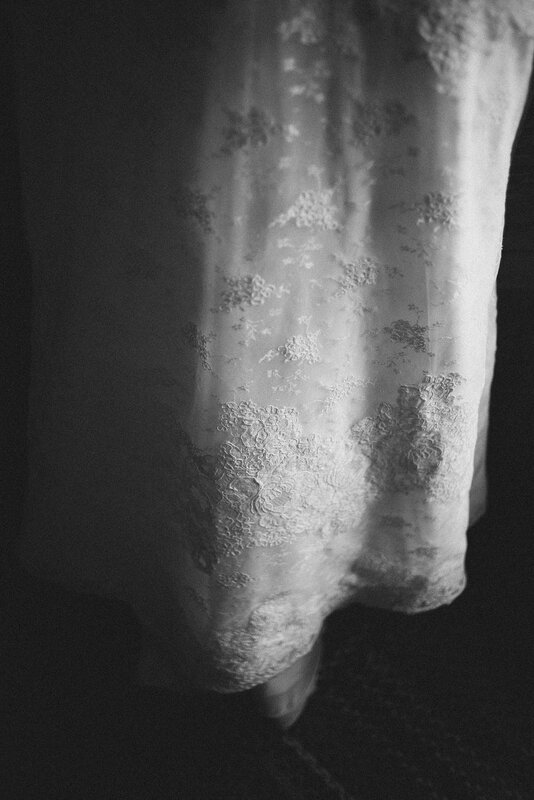 Geri chose a classic wedding gown with details that mirror the subtle romance of her wedding. 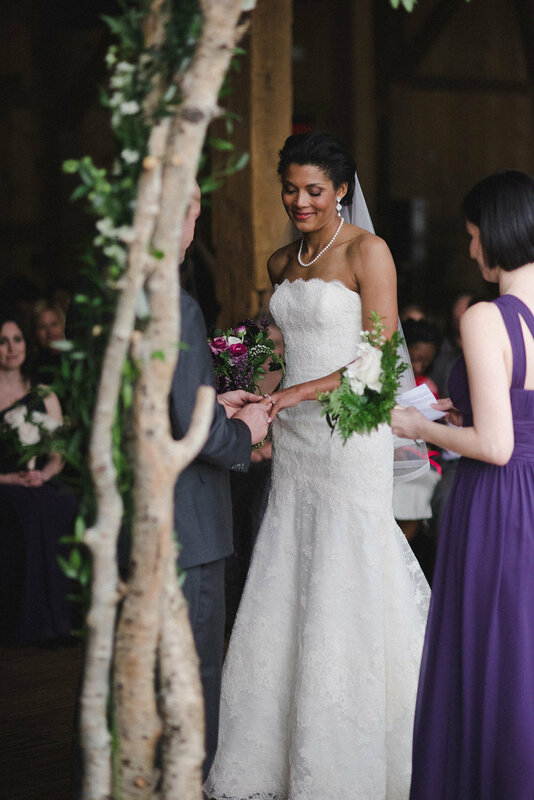 Liancarlo style 4863 is a flattering drop-waist strapless gown, with luxurious French Alencon lace on corded embroidered tulle. 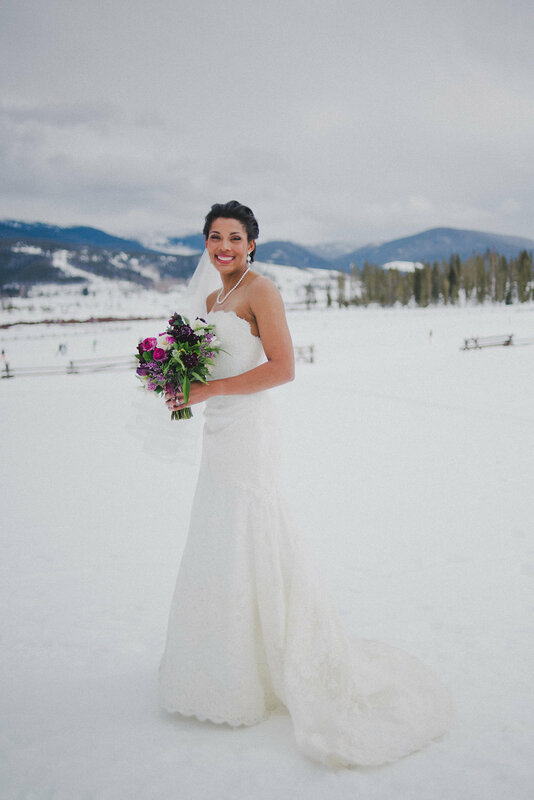 It's a dress that is exquisitely made in Miami and thoughtfully designed for brides who want to feel timelessly elegant on their wedding day. 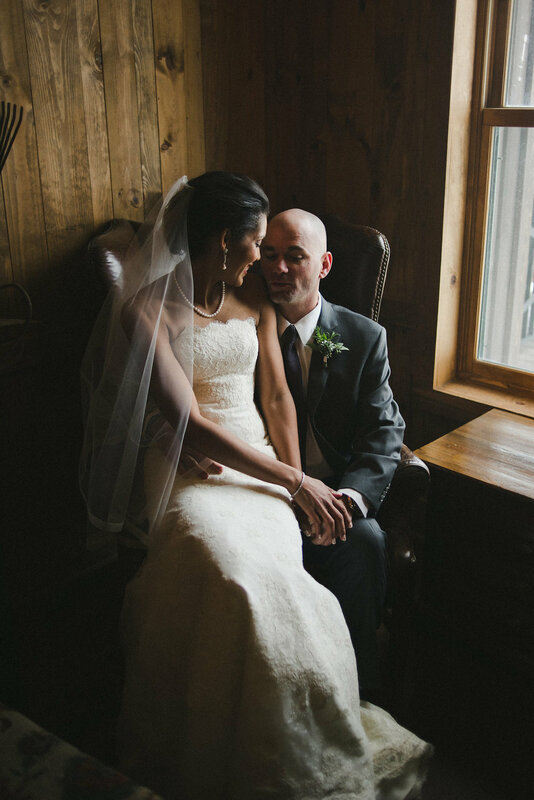 Congratulations to Geri and Mike!